Kinka Yo enjoys the fruits of her hard work and doesn’t mind telling you about it. One evening you run into her on the bridge on the Sumida, on her way to her restaurant. She tells you, I’m coming from my second condo. I have another one in Shinjuku you know, near my other restaurant. 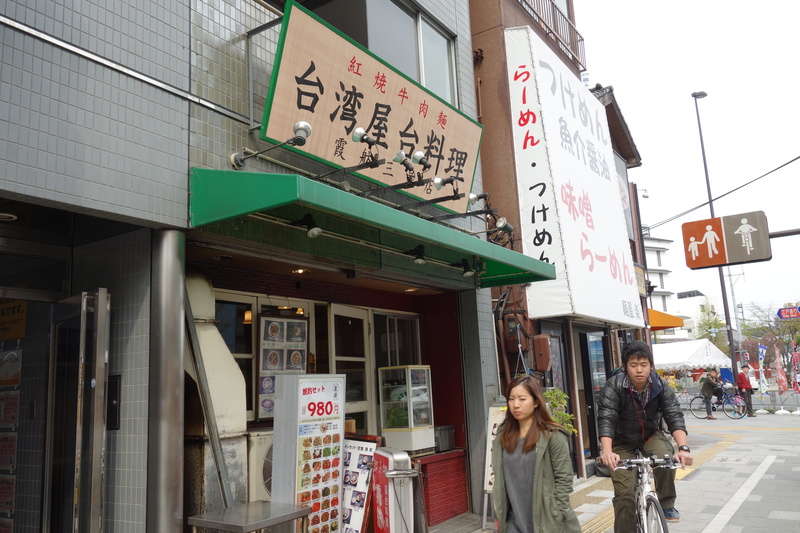 She opened there 35 years ago, and this branch in Kaminarimon is her third. 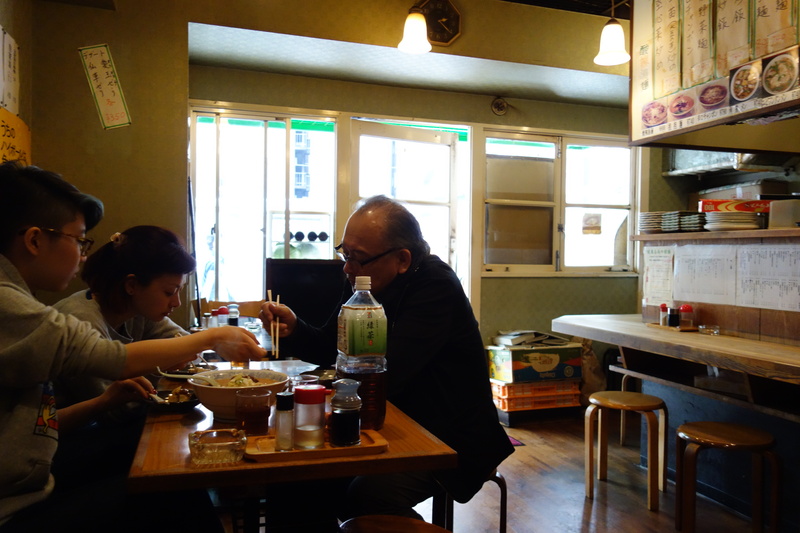 On Sunday you stopped by, and she tells you how last summer she set up her son-in-law with an eatery in Shin Nakano. It’s for him to play with, she says. Cost us 21 million yen and I haven’t even been there! She owns other property too. The funny thing is, she doesn’t seem to be bragging. It’s more like, out loud, she’s counting her blessings. It certainly hasn’t stopped her working. Maybe that’s just the habit of an effective person. There’s a constant scrubbing and cleaning noise from the raised kitchen as you eat the spicy beef ramen she has cooked for you. Is it spicy enough, she asks. She talks abruptly and energetically. I can make it more spicy. You say it’s pretty good. It tastes medicinal, this beef. Big chunks, slow simmered, fall-apart and with jelly-like tendons. It’s fragrant with star anise and cloves, and plenty of blackened chilli. You ask, Do the Taiwanese like it hot. She says, Don’t ask me, most Taiwanese don’t eat ramen. It’s Japanese who eat ramen. I don’t like ramen. I like rice. 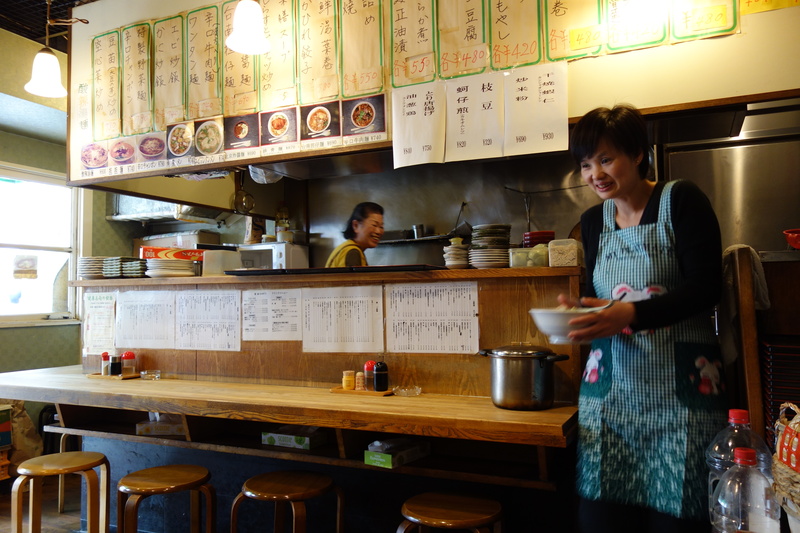 The restaurant is called Kahou and takes the character from her daughter’s name Ka. That’s ka as in Kasumigaseki, she says, as in spring mist. The hou character I just added. It made for an auspicious stroke-count. It means the little round awning you see on the back of boats, of Chinese junks. But really, the whole name doesn’t mean anything, it’s completely random, I just chose it. You ask, Do the Taiwanese like it hot. She says, Don’t ask me, most Taiwanese don’t eat ramen. Kahou is good in the late afternoon, the light coming in catching the well-worn, burnished kitchen, and just a few customers. Some guys from Israel, a Japanese family. You know Yo through a coincidence. She’s the mother of a friend’s friend, who has just been posted to mainland China. As you pay to leave, she tells you how the embassy got all the application details wrong, and now there’s a big delay and everything is mucked up. That’s communism for you, she says. You gotta pay off the right people! She gestures as if stuffing her pocket. Hahaha! Whether it’s the vitalising beef noodle that’s inspired you, or just Madame Yo’s twinkle, you step lightly into the sunshine, in this land of the relatively free, pondering ways to be more effective. Maybe add some more strokes to your name. 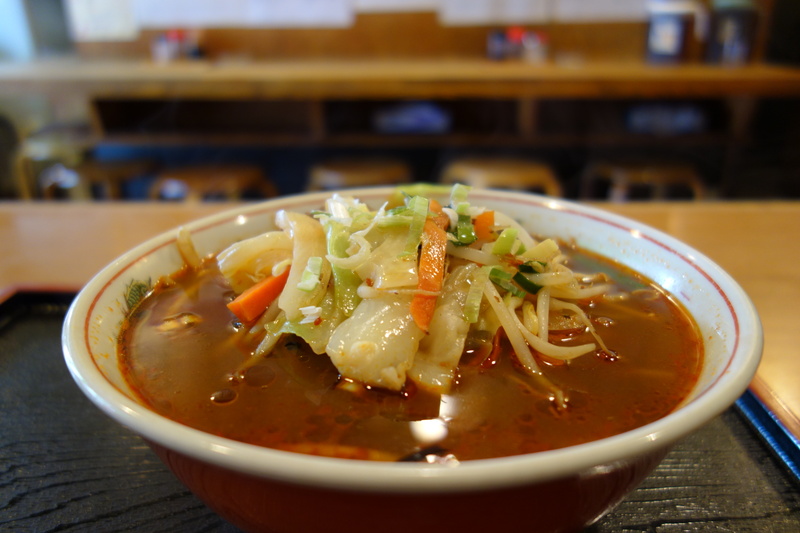 Kahou is at 2-4-1 Kaminarimon, Taito-ku tel 03-3844-3765. Open everyday till midnight, with a break between lunch and dinner.